The last dregs of winter are upon on us, and very soon spring will be jumping back into life. But it’s not just the natural world outside of your front door that has to benefit from the seasonal rebirth: your home can too. With spring comes change, it’s a time to let go of old things in order to spruce up your home. It's a chance to update and welcome in the new. And where better to start than the central hub of the whole place: your living room. Once you’ve done your traditional spring clean and declutter, open all of the windows and let the cool spring air clear out your home. Airing out your home regularly is important to alleviate smells and condensation which causes mould. But it's probably not something you do as often as you should in the winter because it's freezing! Use clean smelling reed diffusers, candles and air fresheners to give everywhere a beautiful scent. I like 'clean cotton' by Yankee candle and other linen type scents because it makes your home smell like clean washing. And you can't get much fresher than that! It might be difficult to destroy the winter wonderland you’ve created over the past few months, but spring is a time for new colours and accessories. 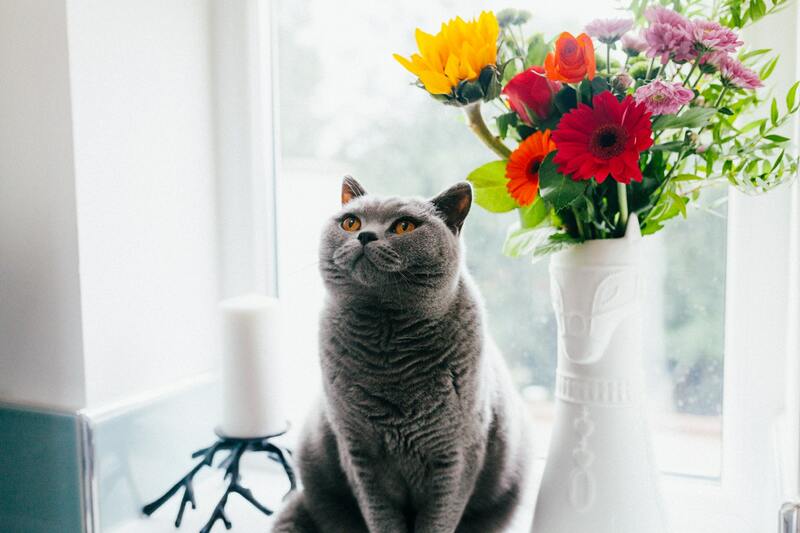 Display vases of fresh seasonal flowers, you could treat yourself to a bunch from a florist or even pick some up cheaply from the supermarket. Seasonal flowers include: daffodils, tulips, narcissus and iris to name a few. You could switch out your throws and cushion covers with fresh new colours and patterns too, autumn and winter tartans could be replaced with pretty ditsy spring florals. This will bring a new lease of life to your home without you having to spend much. Box up all of your deep, rich coloured autumn winter homewares and pop them in the attic. Then you can reuse them later in the year when the season rolls back around. Finally, have a think about the bigger things in the home. Whether it be a new TV that you need, a new coffee table, dining table. New upholstery such as a sofa or chair can bring colour and comfort into the space, and a new entertainment system will make movie nights more fun. If you need to replace anything then spring is the perfect time since you're clearing and reviving the home anyway. You could even go the whole hog and give your living room the makeover it deserves and redecorate too. It will be the perfect place to come home to each evening so you can put your feet up and just relax.Spring gives you have the perfect opportunity to get rid of the old, embrace the new and freshen up your living space. It's almost time to banish winter and make your home spring to life! Do you update your home each season? I Try to have seasonal accessories and a season appropriate scent in my home.